So it's been a week of this Time Restricted Feeding / Intermittent Fasting experiment . How did things go? Time to take inventory. Overall I followed an 18:6 Intermittent Fast this week. I restricted my feeding window (on average) to 6 hours and I fasted for 18 hours daily. I really like this protocol. I enjoyed my meals. I had good energy and got lots of chores done. My weight came down by 3.6 pounds (1.6kg). Overall I feel great and I'm ready for the new week ahead. This is what my first meal looks like when I don't know what I feel for and the fridge has bits and bobs of food that need to be consumed. I don't like to waste food, ever! 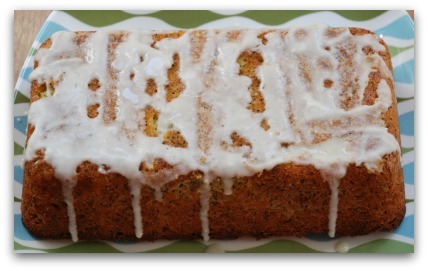 The lemon quick bread was a real treat which I baked in the morning. 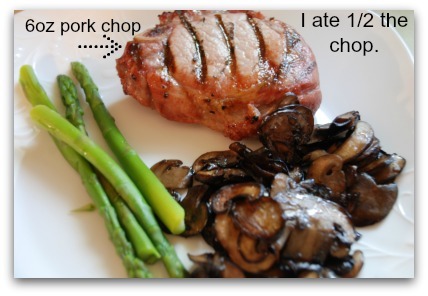 I sliced it into 12 servings as the recipe indicated. I vow to eat only 1 slice and freeze the rest for future treats. 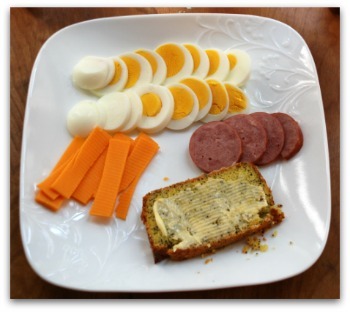 *The recipe for the Lemon Poppyseed Quick Bread (page 124) and other amazing recipes came from this book, The Everyday Ketogenic Kitchen by Carolyn Ketchum. I love everything in this book! That's if for the fasting journal 7 page. Let's see what's up for tomorrow.